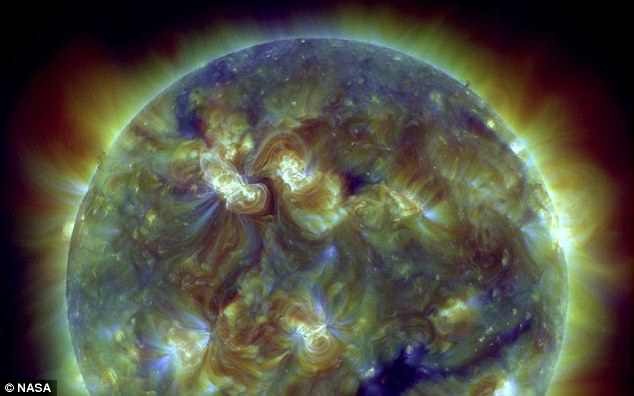 A huge solar storm is heading for Earth, and it's likely to hit tomorrow. The storm could knockout satellites, disrupt power supplies and spark stunning displays of the Northern Lights. 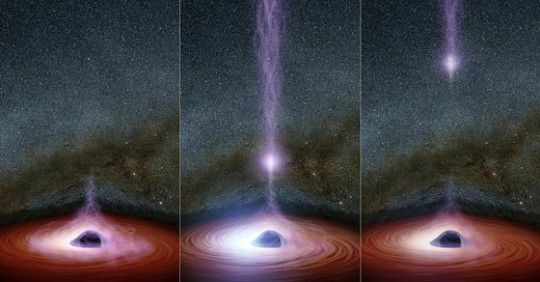 It was created last week by an enormous explosion in the sun's atmosphere known as a solar flare, and charged particles from that flare are now on their way to our planet. The arrival of the solar storm coincides with the formation of 'equinox cracks' in Earth's magnetic field, which form around the equinoxes on March 20 and September 23 each year. These cracks weaken our planet's natural protection against charged particles and could leave commercial flights and GPS systems exposed to the incoming storm. The cracks also mean stargazers are more likely to catch glimpses of the Northern lights this week. This may include parts of Scotland and northern England, as well as the 'northern tier' of the US including parts of Michigan and Maine. The charged, magnetic particles from the solar storm can interfere with machinery in Earth's orbit as well as at the planet's surface, such as GPS systems and radio signals. They can also threaten airlines by disturbing Earth's magnetic field. 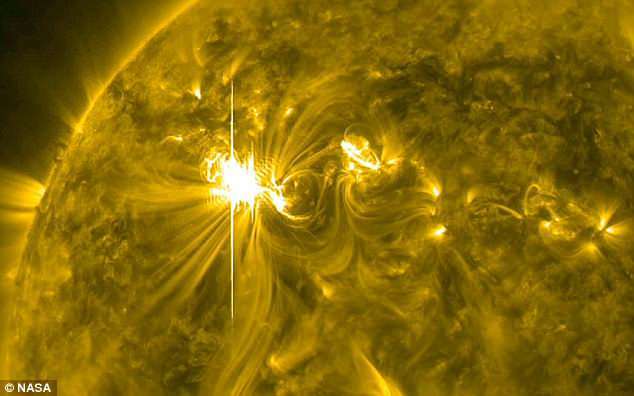 Very large flares can even create currents within electricity grids and knock out energy supplies. 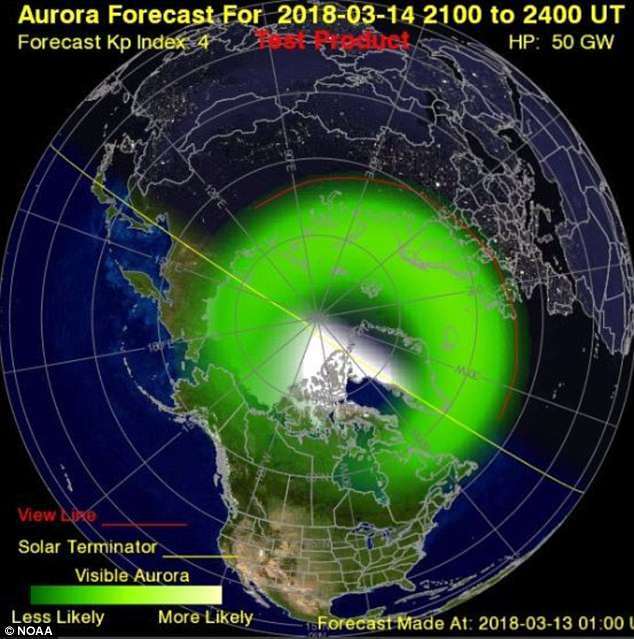 'A minor geomagnetic storm watch is now in effect for the 14 and 15 March, 2018. Aurora may be visible at high latitudes,' the US National Oceanic and Atmospheric Administration (NOAA) wrote in a statement. 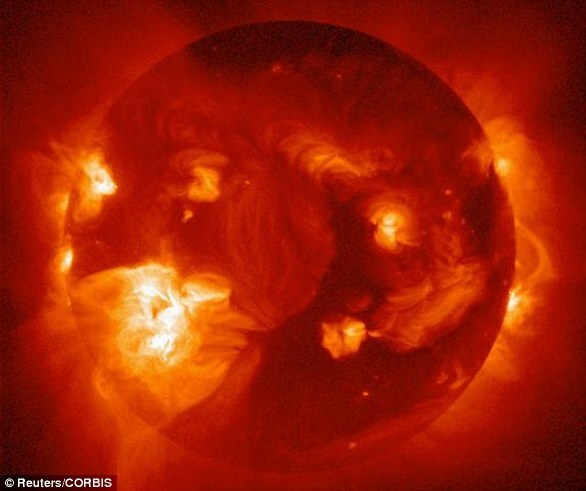 The particles, which came from the sun after solar flares took place on March 6 and 7, could cause 'weak power grid fluctuations' and a 'minor impact on satellite operations,' according to the NOAA. NASA said the first of the two flares - classified in the potent X class and facing directly at the Earth - was the biggest this year. It was one of the largest of this cycle known as the solar minimum, which began in early 2007. Geomagnetic storms are ranked on a severity scale, with G at the bottom, R in the middle and S at the top. The US National Oceanic and Atmospheric Administration says that the forecast suggests the solar storm will be a G-1 or 'minor' storm. 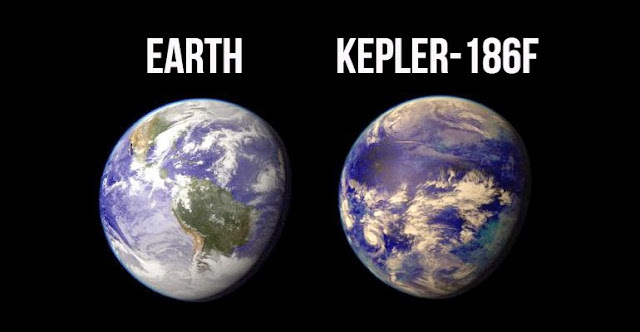 This could become a G-2 'moderate storm' depending on how the charged particles hit Earth. The event coincides with the formation of 'equinox cracks'. On March 20 and September 23 each year, the Earth and sun line up so that day and night are of roughly equal length. But the equinoxes also cause cracks to open up in Earth's magnetic field which stay open for hours. NASA and the NOAA keep track of solar events using an array of telescopes and probes which help generate geomagnetic weather forecasts. Researchers also study the sun to learn more about its structure as well as obtain data to make predictions about different types of solar flares. These include solar flares and Coronal Mass Ejections, which are large clouds of plasma and magnetic field that erupt from the sun. Solar flares and particles ejected via coronal mass ejections are associated with dark spots on the sun's surface. These are areas of intense magnetic activity, and when the magnetic fields in a sunspot cross each other, it can result in an energy explosion, known as a solar flare, which sends radiation into space. 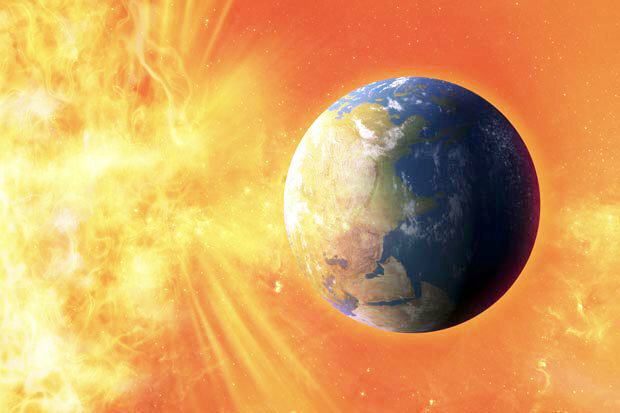 Solar flares only impact Earth when they occur on the side of the sun facing the Earth. Sometimes, these explosions can send out coronal mass ejections - large clouds of plasma and magnetic field that erupt from the sun. Forecasters monitor these events, and when a storm looks likely to have a significant impact, engineers can shut down certain systems on satellites, or prepare for impacts on the power grid. The sun has an 11-year cycle of sunspot activity, with the last maximum having taken place in April 2014. This summer, NASA is set to launch a spacecraft called Parker Solar Probe, which will travel closer to the sun than any other previous mission. It will fly by Venus and travel into the corona - the sun's upper atmosphere, with the aim of learning more about the particles that are ejected by the sun. It's not going to happen. Maximum Kp values of 5. Pure daily fail nonsense! Agreed. Awful lot of hype on this page. Well, that was a big nothing-burger!